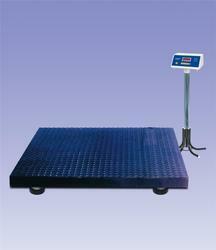 We are one of the leading Distributor & Trader of Platform Scales. Our product range also comprises of Billing Machine, Currency Counting and Value Added Counting Machine. We offer a comprehensive assemblage of Industrial Platform Scales with auto zero tracking, auto power saving function and auto calibration. Manufactured as per the preset industrial guidelines, the offered scales are extremely popular for their longer functional life and compact design. Appreciated for its quick and accurate results, the proposed scales are massively sought after. 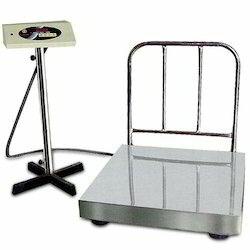 We are a recommended distributor and trader of the high functionality and lightweight Platform Scales. Made available in numerous specifications, the proposed scales are extensively asked for their lightweight, optimum functionality, user friendly operation and accurate measurements. Before the final dispatch, the entire range is tested for its flawlessness by our quality controllers. We are a well-known trader and distributor of the precisely designed and developed Counting Electronic Platform Scales. Known for their durability, robust construction, corrosion resistance and consistent performance, these scales are highly demanded among our customers. 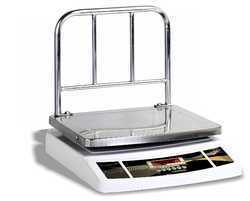 These electronic platform scales are quite popular for their quick & correct results and inbuilt battery backup. 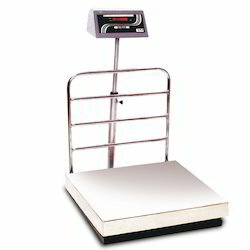 We are a unique name in the industry to provide our prestigious clients an exclusive range of Electronic Weighing Scale. We are instrumental in offering our clients with Weighing Scales that are exclusively designed with the wooden finishing in the middle, which provide a very classy look. Our scales are widely demanded by the customers for their accurate results, compact designs and zero maintenance. All our scales are available in various models and sizes as well as are used for reading the slightest details. 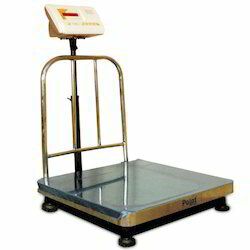 We offer a wide array of high quality Heavy Duty Platform Scales to our valuable customers. 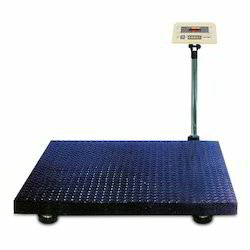 Procured from highly trusted vendors, these scales are widely used for measuring the weight of various industrial objects. 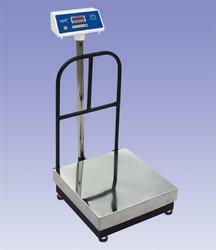 To ensure an optimum standard of quality, these scales are manufactured using advanced machinery at the vendor’s end. 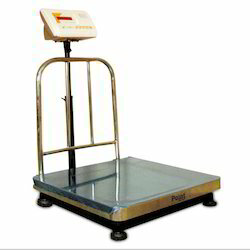 Owing to the rich experience in this domain, we have been able to trade and distribute optimum quality Weighing Platform Scales. These scales are commonly used to measure the weight of various items in different industrial applications. Our team of logistic professionals assures the safe and timely delivery of these scales at customer’s end. Multi-interval instruments(Dual Accuracy Scales) are also available in all platform models. 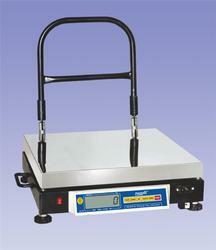 Platform scales of diffrent platter sizes and capacitities can be supplied as per customer's requirement. Packing: Its unique Visual and audio indication help user pack accurately and speedily without getting fatigue. Check Weighing: To verify and sort out the pre-packed commodities on weight basis. It provide clear visibility/redability in outdoor right day light as well as in low light indoor conditions. Its user -friendly backlight ON/OFF feature provides power saving & longer battery back-up. The unique feature allows to save memory of 2000 batches with date & time and can transferred to Pen-Drive. The data on pen-drive can be accessed in Excels on PC for further data processing. Indicator with thermal In-built printer provides printed slips in various formats. 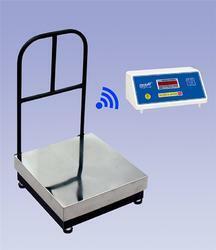 Platform Scales with Price Computing or Piece counting features. It provides better readability and attractive looks. Wireless extra display can be placed upto 50 meters from main Indicator. Multiple number of wireless displaycan be paired with single indicator. Weighing data gets transferred to indicator using RF technology. Heavy duty MS. checkered plate for bigger platter sizes. Adiustable display intensity for longer battery back-up. Adaptor box with rechargeable battery. 6V, 4 AH rechargebale SMF battery. Detachable extra display at 5 meters / Rear Side Display. Jumbo Display (with wire or wireless). LCD Display specially designed to view from any angle.